A little decoration full of love and romance. This little willow heart decorated with a ribbon and hanging heart motif is the perfect decroation for weddings. 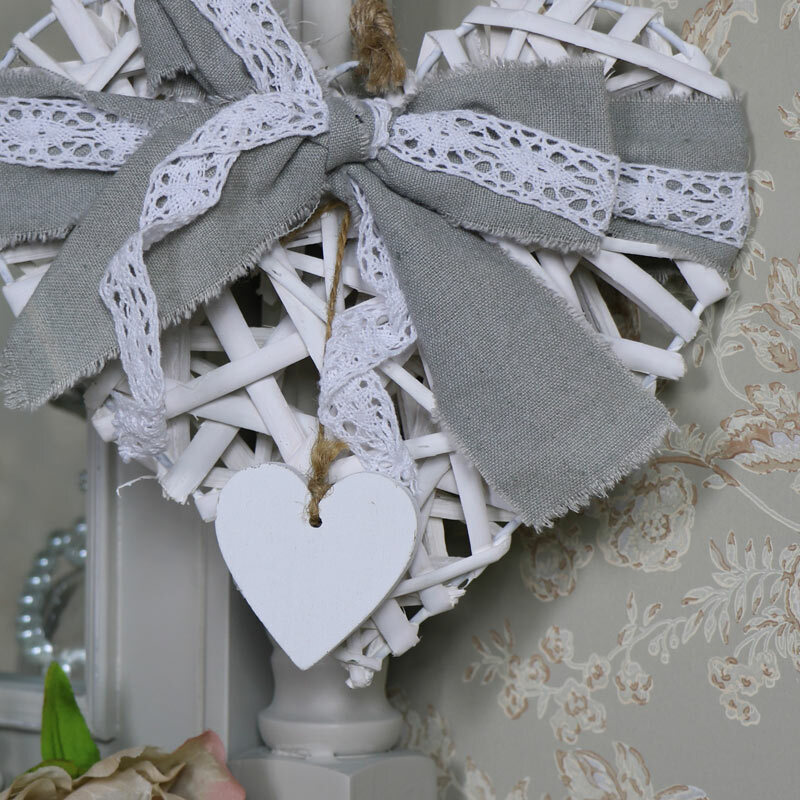 Great for hanging in a wedding venue to symbolise love or for decorating your home and adding some vintage shabby chic charm. Delightfully pretty, this little heart all gives hints of a boho style. A little decoration full of love and romance. This little willow heart decorated with a ribbon and hanging heart motif is the perfect decroation for weddings. Great for hanging in a wedding venue to symbolise love or for decorating your home and adding some vintage shabby chic charm. Delightfully pretty, this little heart all gives hints of a boho style. 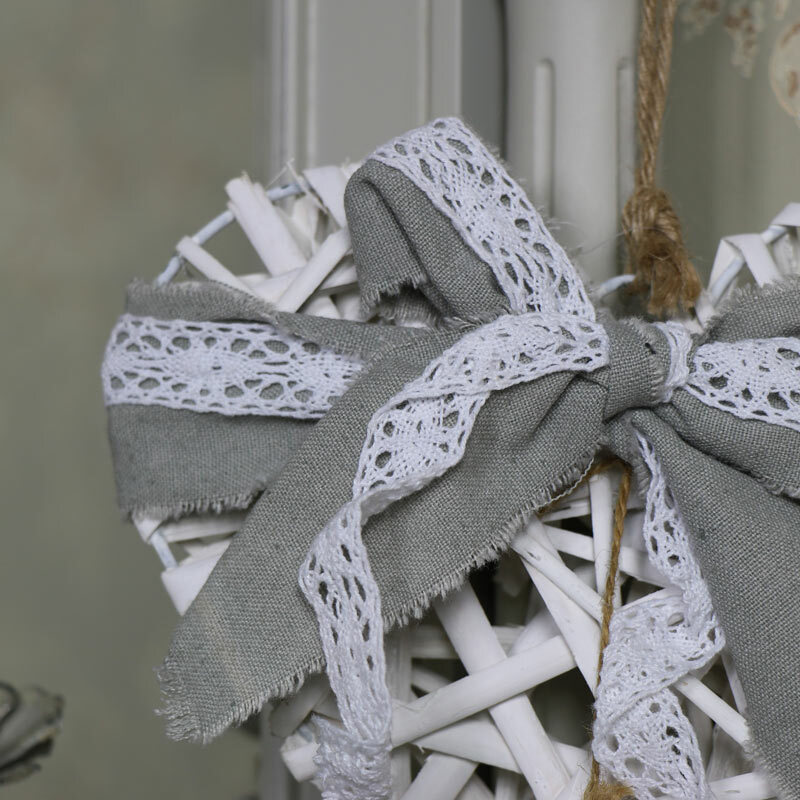 White willow bent into a heart shape around a wire frame and wrapped in a sage green cotton and white lace bow. Easily hung from a piece of string. 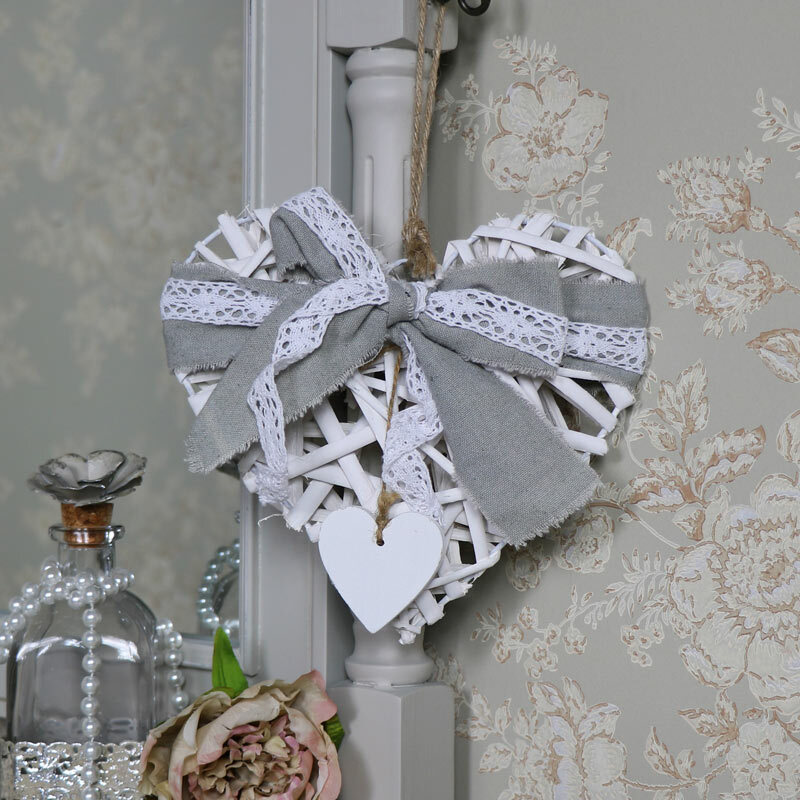 Part of our gift and accessories range, this pretty heart will add the prettiest touch to a vintage wedding or a summery decoration for your home. This is made from wicker. sadly not, we only have this. delivery for this item is up to 10 working days with royal mail, express delivery is available at the checkout. This item is very light, so would be about 0.04kg.